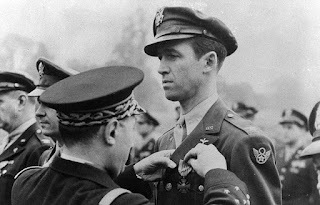 None of us would have a fullness of liberties and blessings without the "American Excellence" we especially enjoy as citizens of the United States of America. However, as our world changes all around us, there are fewer and fewer folks who believe in faith based justice, compassion, and respect for human dignity. Further, the continued erosion of family and faith has prompted some lost souls even to join street gangs for the counterfeit feeling of belonging to something that will give them purpose, security, and a sense of belonging. Far too many of us do not understand or even believe that our founding fathers knew that religion always should be a foundational principle of our beliefs and behavior. 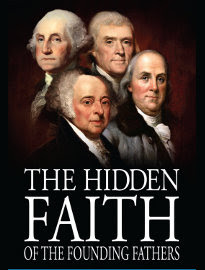 These fathers of our liberty knew that morality does not exist without faith. They testified that faith was and is an essential ingredient of good governance and human happiness. "...Reason and experience both forbids us to expect that national morality can prevail in exclusion of religious principle...It is substantially true that virtue or morality is a necessary spring to popular government." "...we seek to build the individual and we must not mistake the scaffolding of the soul." All of us should and must seek out and be true to the principles of our individual faiths. We should and must dare to be different from those who lack faith (and hope). During this Christmas holiday season, let us all strive to be more humbly dedicated to the testimony of our personal faith, from which stems our and our families' sacred national legacy and patrimony. We are current or former Army Reserve, National Guard, and active duty US Army Special Forces soldiers (Green Berets). We have all taken an oath to "...support and defend the Constitution of the United States against all enemies foreign and domestic; that I will bear true faith and allegiance to the same.…" The Constitution of the United States is without a doubt the single greatest document in the history of mankind, codifying the fundamental principle of governmental power and authority being derived from and granted through the consent of the governed. Our Constitution established a system of governance that preserves, protects, and holds sacrosanct the individual rights and primacy of the governed as well as providing for the explicit protection of the governed from governmental tyranny and/or oppression. We have witnessed the insidious and iniquitous effects of tyranny and oppression on people all over the world. We and our forebears have embodied and personified our organizational motto, De Oppresso Liber [To Free the Oppressed], for more than a half century as we have fought, shed blood, and died in the pursuit of freedom for the oppressed. First, we need to set the record straight on a few things. The current debate is over so-called "assault weapons" and high capacity magazines. The terms "assault weapon" and "assault rifle" are often confused. According to Bruce H. Kobayashi and Joseph E. Olson, writing in the Stanford Law and Policy Review, "Prior to 1989, the term 'assault weapon' did not exist in the lexicon of firearms. It is a political term, developed by anti-gun publicists to expand the category of assault rifles." The M4A1 carbine is a U.S. military service rifle - it is an assault rifle. The AR-15 is not an assault rifle. The "AR" in its name does not stand for "Assault Rifle" - it is the designation from the first two letters of the manufacturer's name – ArmaLite Corporation. The AR-15 is designed so that it cosmetically looks like the M4A1 carbine assault rifle, but it is impossible to configure the AR-15 to be a fully automatic assault rifle. It is a single shot semi-automatic rifle that can fire between 45 and 60 rounds per minute depending on the skill of the operator. The M4A1 can fire up to 950 rounds per minute. In 1986, the federal government banned the import or manufacture of new fully automatic firearms for sale to civilians. Therefore, the sale of assault rifles are already banned or heavily restricted! The second part of the current debate is over "high capacity magazines" capable of holding more than 10 rounds in the magazine. As experts in military weapons of all types, it is our considered opinion that reducing magazine capacity from 30 rounds to 10 rounds will only require an additional 6 -8 seconds to change two empty 10 round magazines with full magazines. Would an increase of 6 –8 seconds make any real difference to the outcome in a mass shooting incident? In our opinion it would not. Outlawing such "high capacity magazines" would, however, outlaw a class of firearms that are "in common use". As such this would be in contravention to the opinion expressed by the U.S. Supreme Court recent decisions. What can we learn from experiences with this issue elsewhere? We cite the experience in Great Britain. Despite the absence of a "gun culture", Great Britain, with one-fifth the population of the U.S., has experienced mass shootings that are eerily similar to those we have experienced in recent years. In 1987 a lone gunman killed 18 people in Hungerford. What followed was the Firearms Act of 1988 making registration mandatory and banning semi-automatic guns and pump-action shotguns. Despite this ban, on March 13, 1996 a disturbed 43-year old former scout leader, Thomas Hamilton, murdered 16 school children aged five and six and a teacher at a primary school in Dunblane, Scotland. Within a year and a half the Firearms Act was amended to ban all private ownership of hand guns. After both shootings there were amnesty periods resulting in the surrender of thousands of firearms and ammunition. Despite having the toughest gun control laws in the world, gun related crimes increased in 2003 by 35% over the previous year with firearms used in 9,974 recorded crimes in the preceding 12 months. Gun related homicides were up 32% over the same period. Overall, gun related crime had increased 65% since the Dunblane massacre and implementation of the toughest gun control laws in the developed world. In contrast, in 2009 (5 years after the Federal Assault Weapons Ban expired) total firearm related homicides in the U.S. declined by 9% from the 2005 high (Source: "FBI Uniform Crime Reporting Master File, Table 310, Murder Victims – Circumstances and Weapons Used or Cause of Death: 2000-2009"). In a recent op-ed piece in the San Francisco Chronicle, Brett Joshpe stated that "Gun advocates will be hard-pressed to explain why the average American citizen needs an assault weapon with a high-capacity magazine other than for recreational purposes. "We agree with Kevin D. Williamson (National Review Online, December 28, 2012): "The problem with this argument is that there is no legitimate exception to the Second Amendment right that excludes military-style weapons, because military-style weapons are precisely what the Second Amendment guarantees our right to keep and bear." The Second Amendment has been ruled to specifically extend to firearms "in common use" by the military by the U.S. Supreme Court ruling in U.S. v Miller (1939). In Printz v U.S. (1997) Justice Thomas wrote: "In Miller we determined that the Second Amendment did not guarantee a citizen's right to possess a sawed-off shot gun because that weapon had not been shown to be "ordinary military equipment" that could "could contribute to the common defense". A citizen's right to keep and bear arms for personal defense unconnected with service in a militia has been reaffirmed in the U.S. Supreme Court decision (District of Columbia, et al. v Heller, 2008). The Court Justice Scalia wrote in the majority opinion: "The Second Amendment protects an individual right to possess a firearm unconnected with service in a militia, and to use that arm for traditionally lawful purposes, such as self-defense within the home.". Justice Scalia went on to define a militia as "… comprised all males physically capable of acting in concert for the common defense …." "The Anti-Federalists feared that the Federal Government would disarm the people in order to disable this citizens' militia, enabling a politicized standing army or a select militia to rule. The response was to deny Congress power to abridge the ancient right of individuals to keep and bear arms, so that the ideal of a citizens' militia would be preserved." he explained. On September 13, 1994, the Federal Assault Weapons Ban went into effect. A Washington Post editorial published two days later was candid about the ban's real purpose:"[N]o one should have any illusions about what was accomplished [by the ban]. Assault weapons play a part in only a small percentage of crime. The provision is mainly symbolic; its virtue will be if it turns out to be, as hoped, a stepping stone to broader gun control." In a challenge to the authority of the Federal government to require State and Local Law Enforcement to enforce Federal Law (Printz v United States) the U.S. Supreme Court rendered a decision in 1997. For the majority opinion Justice Scalia wrote: "…. this Court never has sanctioned explicitly a federal command to the States to promulgate and enforce laws and regulations When we were at last confronted squarely with a federal statute that unambiguously required the States to enact or administer a federal regulatory program, our decision should have come as no surprise….. It is an essential attribute of the States' retained sovereignty that they remain independent and autonomous within their proper sphere of authority." The answer is "The Battle of Athens, TN". The Cantrell family had controlled the economy and politics of McMinn County, Tennessee since the 1930s. Paul Cantrell had been Sheriff from 1936 -1940 and in 1942 was elected to the State Senate. His chief deputy, Paul Mansfield, was subsequently elected to two terms as Sheriff. In 1946 returning WWII veterans put up a popular candidate for Sheriff. On August 1 Sheriff Mansfield and 200 "deputies" stormed the post office polling place to take control of the ballot boxes wounding an objecting observer in the process. The veterans bearing military style weapons, laid siege to the Sheriff's office demanding return of the ballot boxes for public counting of the votes as prescribed in Tennessee law. After exchange of gun fire and blowing open the locked doors, the veterans secured the ballot boxes thereby protecting the integrity of the election. And this is precisely why all Americans should be concerned about protecting all of our right to keep and bear arms as guaranteed by the Second Amendment! Throughout history, disarming the populace has always preceded tyrants' accession of power. Hitler, Stalin, and Mao all disarmed their citizens prior to installing their murderous regimes. At the beginning of our own nation's revolution, one of the first moves made by the British government was an attempt to disarm our citizens. When our Founding Fathers ensured that the 2nd Amendment was made a part of our Constitution, they were not just wasting ink. They were acting to ensure our present security was never forcibly endangered by tyrants, foreign or domestic. 1. First and foremost we support our Second Amendment right in that "A well regulated militia being necessary to the security of a free state, the right of the people to keep and bear arms shall not be infringed". 2. We support State and Local School Boards in their efforts to establish security protocols in whatever manner and form that they deem necessary and adequate. One of the great strengths of our Republic is that State and Local governments can be creative in solving problems. Things that work can be shared. Our point is that no one knows what will work and there is no one single solution, so let's allow the State and Local governments with the input of the citizens to make the decisions. Most recently the Cleburne Independent School District will become the first district in North Texas to consider allowing some teachers to carry concealed guns. We do not opine as to the appropriateness of this decision, but we do support their right to make this decision for themselves. 5. Recent social psychology research clearly indicates that there is a direct relationship between gratuitously violent movies/video games and desensitization to real violence and increased aggressive behavior particularly in children and young adults (See Nicholas L. Carnagey, et al. 2007. "The effect of video game violence on physiological desensitization to real-life violence" and the references therein. Journal of Experimental Social Psychology 43:489-496). Therefore, we strongly recommend that gratuitous violence in movies and video games be discouraged. War and war-like behavior should not be glorified. Hollywood and video game producers are exploiting something they know nothing about. General Sherman famously said "War is Hell!" Leave war to the Professionals. War is not a game and should not be "sold" as entertainment to our children. 6. We support repeal of the Gun-Free School Zones Act of 1990. This may sound counter-intuitive, but it obviously isn't working. It is our opinion that "Gun-Free Zones" anywhere are too tempting of an environment for the mentally disturbed individual to inflict their brand of horror with little fear of interference. While governmental and non-governmental organizations, businesses, and individuals should be free to implement a Gun-Free Zone if they so choose, they should also assume Tort liability for that decision. 7. We believe that border states should take responsibility for implementation of border control laws to prevent illegal shipments of firearms and drugs. Drugs have been illegal in this country for a long, long time yet the Federal Government manages to seize only an estimated 10% of this contraband at our borders. Given this dismal performance record that is misguided and inept ("Fast and Furious"), we believe that border States will be far more competent at this mission. 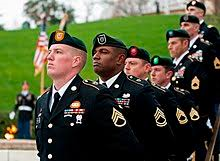 *We have a list of all their names and unlike any MSM outlets we can confirm that over 1100 Green Berets did sign. The list includes Special Forces Major Generals & Special Forces Command Sergeants Major down to the lowest ranking "Green Beret". 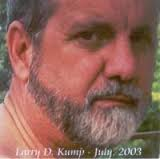 See my other posts at this website, as well as @ www.facebook.com/LarryDKump, for more about my views and news, including whether I will return to public service in 2018. Please share this message with others, asking them to go and do likewise with even more others! Berkeley County Council backs Kump! 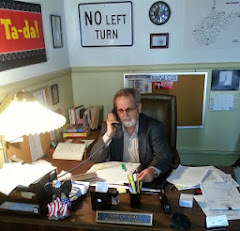 They endorsed Kump's plea for improvements to West Virginia Rt. # 9, between Martinsburg and Berkeley Springs, by sending a letter of endorsement to the West Virginia State Highway Commissioner. Furthermore, the Berkeley County Comprehensive Plan Update, includes West Virginia Rt. #9 as a "priority" improvement, in both Berkeley and Morgan counties, including widening the route to at least four (4) lanes, at an estimated cost of $40 million. This also is endorsed by the Berkeley County Chamber of Commerce and included in the State of West Virginia "Vision" ("needs list") projects. This is a long-term plan that will require patient persistence from all, in order to become reality. 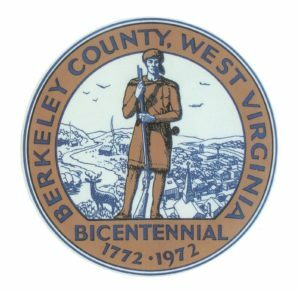 The Berkeley County Council also endorsed legislation to reduce the number of West Virginia residents with out of state vehicle license plates. Delegate Kump has drafted and will be introducing legislation on this issue. 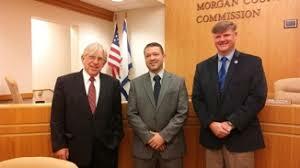 They endorsed Kump's proposal for improvements to West Virginia Rt. # 9, between Martinsburg and Berkeley Springs, by sending a letter of endorsement to the West Virginia State Highway Commissioner. They endorsed legislation to reduce the number of West Virginia residents with out of state vehicle license plates. Delegate Kump has drafted and will be introducing legislation on this issue.